One of the biggest tourist attractions of the province of Salta in the northern Argentina, crosses 33 bridges, 13 viaducts, 21 tunnels, 2 routes and two zigzags and has a history of its own, long and zigzagging as its layout. The line was started in 1889 and finised in 1948. 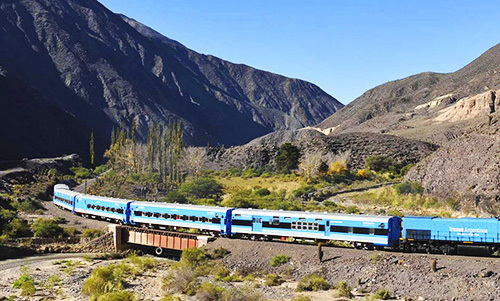 The railway stretches from Salta city across the Andes to the Chilean port of Antofagasta. Salta, the state where is located, is well known for Argentine fishing and the Train to the Clouds.